On a recent adventure to my local market I was struck with inspiration. I was perusing the fruit section and saw something new, something different then the berries, grapes, and peaches that have been present all summer long. I saw fresh figs, yum! Now, I will admit this, typically if I experience figs it’s usually in the form of fig preserves/jam, I honestly can’t remember a time that I’ve actually eaten fresh figs so I thought to myself “why not?” As soon as I put them in my shopping cart I immediately started searching the internet for any fig recipe I could find, I found tons of recipes that called for the figs to be made into a jam to then be used in baked goods or spread on breads for sandwiches but I wanted to experience them in their more natural state. After what felt like an eternity (probably 5 minutes, but that feels like a long time when you’re just standing there in the fruit section of the market on your phone) I finally found various pizza recipes. PERFECT! 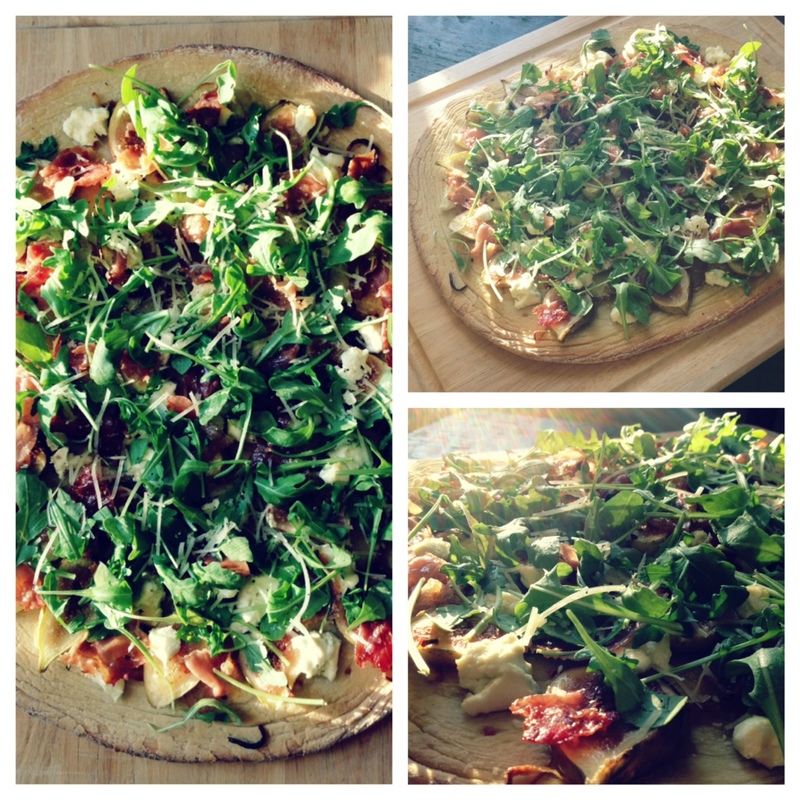 I looked at a few different recipes and synthesized my own; fig, goat cheese, and arugula pizza. MMM mmmm good. This pizza has everything; the sweetness of the caramelized onions and figs, paired with the tanginess of the goat cheese and fig vinegar, then supported by the peppery fresh arugula, and then backed by the saltiness of the prosciutto and shredded parmesan just creates such complex harmonious flavors in every bite, aka food heaven. Enjoy! Once pizza is finished baking top with prosciutto, arugula, and shredded parmesan cheese. Drizzle a a little olive oil and fig vinegar on top then sprinkle with a pinch of salt and pepper.